Split biscuits horizontally. Top each biscuit half with pizza sauce, Canadian-style bacon, pineapple, green pepper and cheese. Bake 7 to 9 minutes or until cheese is melted. 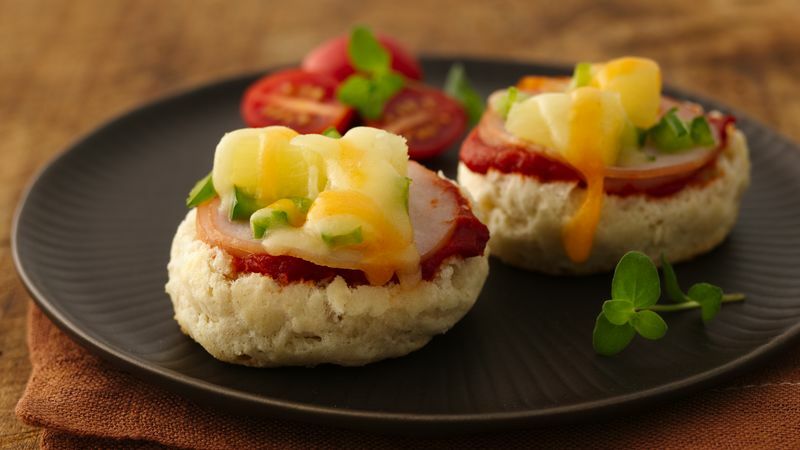 If you can't find pizza-style Canadian-style bacon, any size Canadian bacon can be purchased and cut to fit biscuits. Colby Jack cheese adds a nice color combination, but shredded mozzarella cheese can be substitiuted.